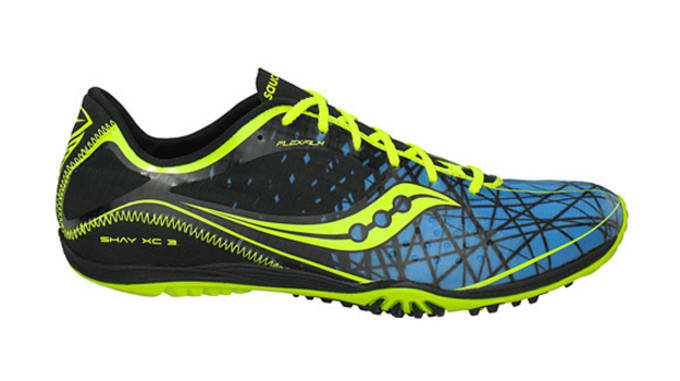 Priced at just $20, the Saucony Grid Kilkenny XC4 Spike is one of the best bargains on the cross country market. Its air mesh upper and synthetic overlay construction offers a breathable, supportive fit, while a CMEVA midsole cushions the ride. Built to last, the Grid Kilkenny XC4 Spike’s XT600 outsole is durable and features 3/8” pyramid spikes. 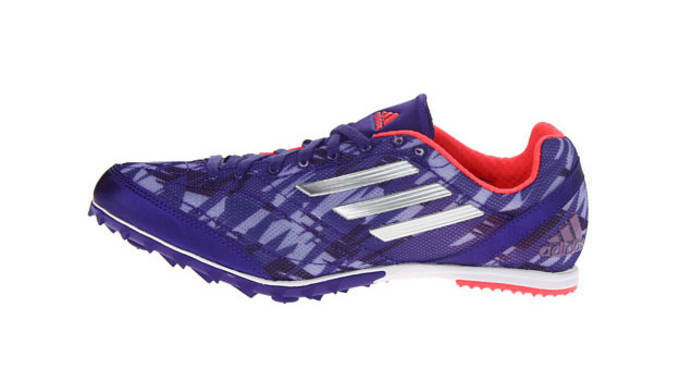 If your cross country schedule is loaded with rocky and bumpy courses, consider the adidas XCS 3 Spikeless. 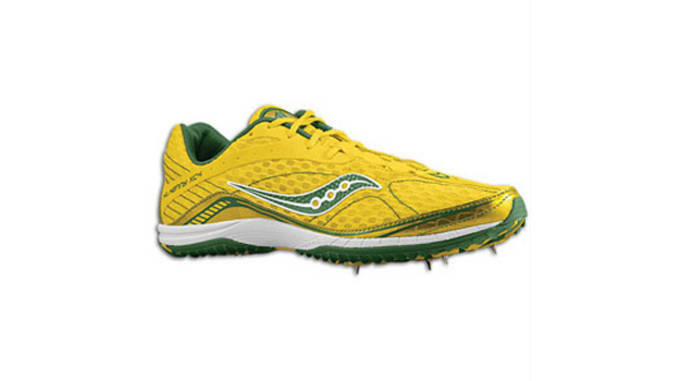 Also available in a spike version, this model is designed to provide comfortable cushioning and lightweight quickness. You’ll have no trouble gripping uneven surfaces thanks to the XCS 3 Spikeless’ rubber sharkskin outsole, and a full-length EVA unit delivers low to the ground cushioning. 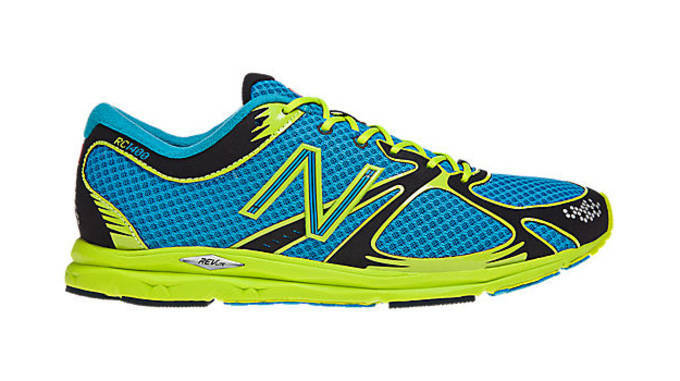 The New Balance XC5000 was inspired by Team New Balance’s most elite cross country runners. It’s built with a synthetic and mesh upper which snugly wraps the food and provides breathability, and also makes use of a DynaRide outsole for lightweight traction. Weighing in at just 4.5 oz, this speedy spike features a four-pin placement plate and is available in a variety of eye-catching colorways. Loaded with performance technology for rocky, unpredictable terrains, the Mizuno Wave Ronin 5 is one of the best racing flats available. It makes use of an Air Mesh upper for breathability, while an AP midsole cushioning the ride. The Wave Ronin 5 also provides a snug, secure fit thanks to Dynamotion Fit technology. 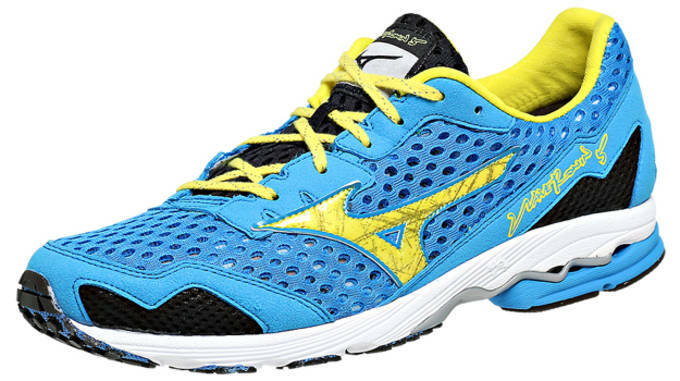 For cushioning, both Mizuno Wave and SmoothRide engineering deliver long-lasting comfort. Since you’ll be putting in work on rough surfaces, X-10 carbon rubber has been implemented in the outsole for added durability and traction. 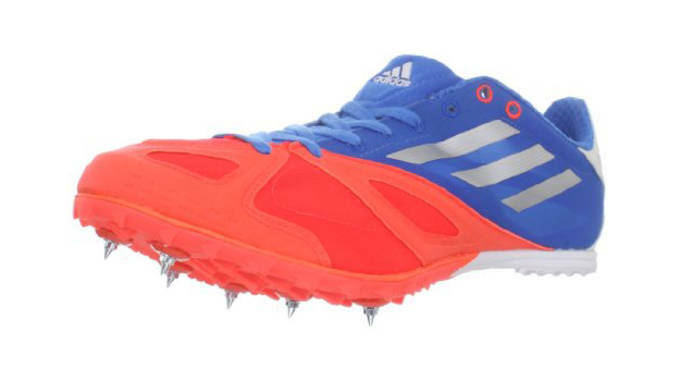 Featuring much of the same technology as its spikeless companion, the adidas XCS 3 Spike is suitable for grass and dirt surfaces. Built for speed, its rubber sharkskin outsole and 3/8” pyramid spikes provide traction in both wet and dry conditions, while full-length EVA adds low to the ground cushioning. 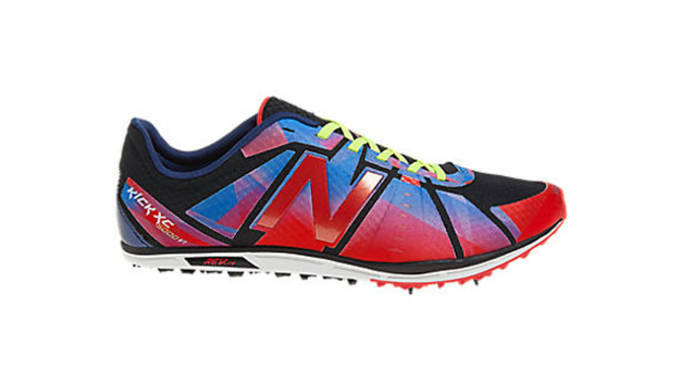 You’ll have no worries of heel slippage thanks to the XCS 3 Spike’s form-fitting stretch tongue and air mesh upper. A climate-regulating mono-mesh insert has been added to keep the feet warm as temperatures begin to drop, and it also helps the runner stay cool in warmer conditions. 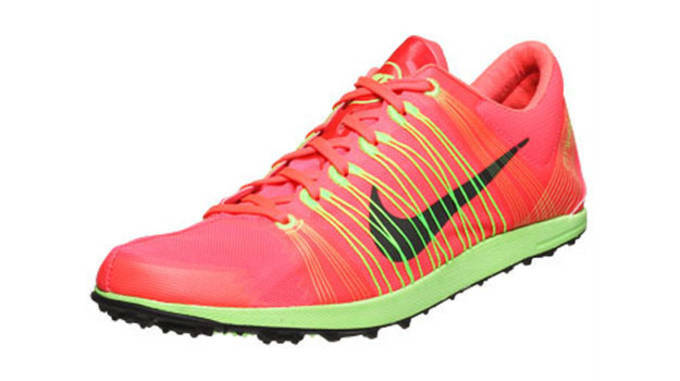 The Nike Zoom Rival XC is a minimalist spike which is designed use from 3k to 10k. It makes use of a hydrophobic mesh upper for water resistance and breathability, ensuring that a little rain won’t get in your way as you tear through the course. A lightweight Flashlon is used for responsive cushioning, and added support is delivered in the form of a molded medial arch. 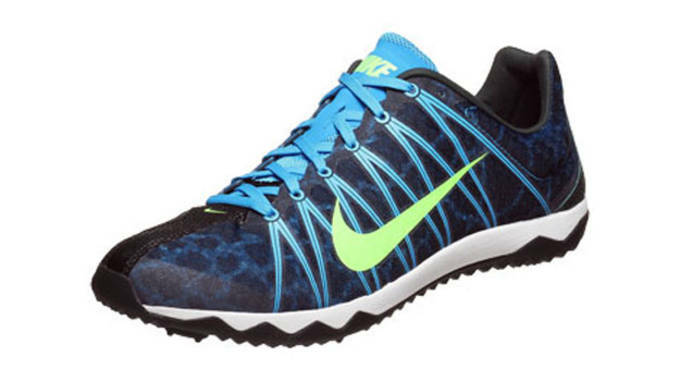 The Zoom Rival XC’s Carbon Waffle outsole and 6 spike receptacles will excel on grass and dirt surfaces. This no-frills racing flat is quick and lightweight, with a rubber outsole for hard, uneven courses. The New Balance 1400 is designed with a no-sew upper construction, making use of lightweight mesh and synthetic overlays for support. A Revlite midsole cushions the blow of tough surfaces, while a durable performance rubber outsole will help with traction. Rocky trails will be no match for you in the Saucony Shay XC 3 Flat, which features a durable yet lightweight ripstop mesh upper for abrasion resistance. Meanwhile, Flex Film overlays are added for a supportive fit. A Saucony Super Lite EVA midsole handles cushioning duties without adding bulk, while XT-600 carbon rubber is used on the outsole for traction and heavy duty durability. Built for serious cross country rubbers, the Nike Zoom Victory Waffle 2 features supportive Flywire cables for a secure, snug fit. A Flashlon foam midsole is enhanced with Zoom Air for a responsive, cushioned ride that keeps you moving forward. Further support is added thanks to a carbon fiber midfoot shank, which is both stable and durable. The outsole of the Zoom Victory Waffle 2 uses a forefoot Pebax plate and Waffle lugs for traction on rocky surfaces. 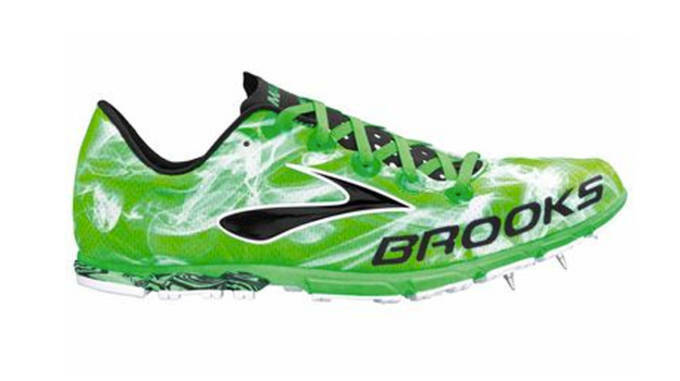 If you’re faced with mostly grass and dirt courses, consider the Brooks Mach 15. Best for 3k to 10k distances, the Brooks Mach 15 is the latest update to the brand’s long running cross country line. It’s constructed with a breathable air mesh upper and features both microfiber and synthetic overlays for a comfortable, snug fit. The Mach 15’s strobel last uses a layer of foam for cushioning, while the contact rubber outsole features a thin layer of rubber and a grippy traction pattern. This 5.4 oz runner uses a 5 spike configuration.